"A bright, colorful and different driving game"
Synth Rider is a short but beautiful and very 80’s neon fueled driving game, I say driving rather than racing as there are no other vehicles involved however there are a lot of obstacles to try to avoid which are huge crystals that have been planted all over the bright pink race track. 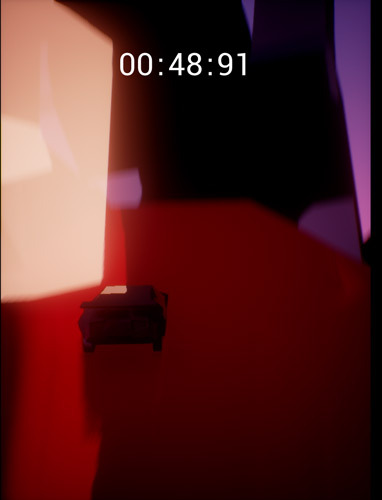 Sadly the game is over within about a minute and a few seconds or even less if you are a skilled driver and can get through the whole course without any collisions. Synth Rider does have some pretty cool music and considering it was made for a game jam it does a pretty cool job of being a bright and colorful and certainly different (at least compared to others) driving games anyway. At least at the end of each race, or should I say time trial you are given the time you have completed it in so it does give you a reason to go back and try it again to see if you can beat your best time score. You can download Synth Rider here for free.